Landmark Restaurant plans huge bash featuring stars, dignitaries and other celebrities. This private function will features live Greek music, and great food, from the menu. The restaurant will also be honored by federal, state and local officials. WESTWOOD, Calif. - Oct. 10, 2015 - PRLog -- Delphi Greek Restaurant was opened in 1985 and has been at the same location ever since. The restaurant is so much a part of the history of Los Angeles that its original menu is on display at the downtown library. The restaurant, which remains the only Hellenic restaurant on the West Side, has been singled out for excellence 3 times by the state of California, and honored twice by the City of Los Angeles. It has been recognized and rated by Zagat, no fewer than seventeen times. Delphi Greek Restaurant continues to offer a wide selection of Greek wines, and has been a professional member of the American wine society since 2012. The owners are proud to be members of the Wine Country Club, and the restaurant boasts one of the largest collections of Boutari wines, including some very hard to find vintages. 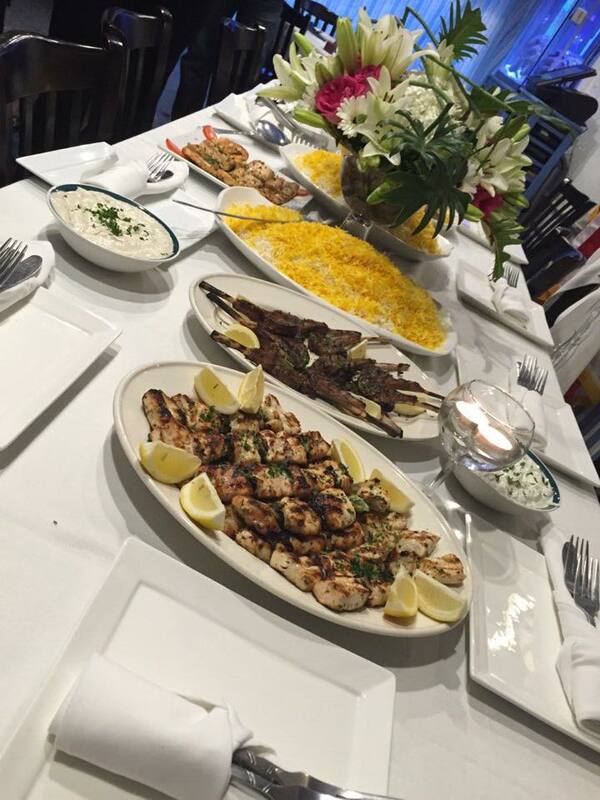 Spanakopita (Greek spinach pie), Tzatziki (yogurt, cucumber dip), and its homemade moussaka, wonderful lamb and seafood entrees, many diners come back again and again for the special desserts. Delphi Greek Restaurant is one of the only places you can get galaktoburiko (baked Greek custard baked in phyllo dough), the homemade baklava is beyond reproach, but the special cheese cakes have also become a signature item. Pastry chef Rana Pourarab has won multiple awards and has been honored on numerous occasions from many sources. Local television personality Davi Davenport will be interviewing dignitaries on the red carpet. There will be an awards ceremony which will be hosted by Greek Consulate General Gregory Karahalios. Representatives of Mayor Eric Garcetti’s office, State Senator Ben Allen, City Councilman Paul Koretz and Congressman Ted Leiu, as well as State Senator Joel Anderson, State Assemblyman Sebastian Ridley-Thomas, Captain Tina Nieto: LAPD West Los Angeles Division, -Former Mayor of Beverly Hills Jimmy Delshad, interior designer Hilary Green, BizFed President Tracy Rafter, Nicole Guzman celebrity chef and food blogger, and entertainer Electra Barakos (the voice Greece), will all be on hand. Other celebrities scheduled to attend include City Librarian John Szabo, City Controller Ron Galperin, County Supervisor Sheila Kuehl, Congressman Brad Sherman, CEO of Grubhub Matt Maloney, Former Massachusetts Governor Michael Dukakis, and many Westwood community leaders, dignitaries and celebrities.